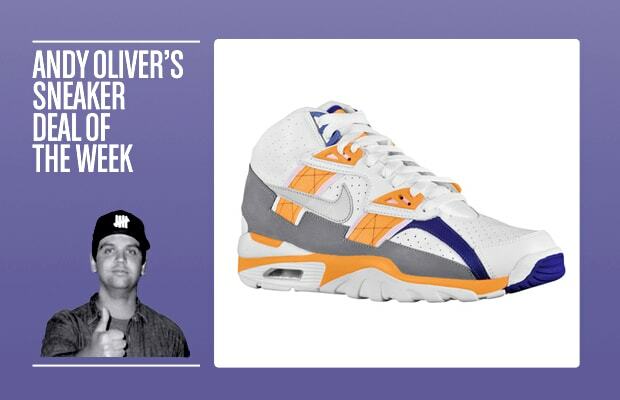 Andy says: “The Nike Air Trainer SC II has come out of the gate pretty strong in 2011. Then again, so did the SC I back in 2009, but sales fizzled out soon after. Almost 2 years later, pairs are still available for below the retail price. This week&apos;s deal sees the OG colorway of the Nike Air Trainer SC for just $60-70 on eBay (depending on your size). This was a landmark shoe for Nike, and worthy of a place in any sneaker aficionado&apos;s collection. If the Trainer II is more your style, here&apos;s a full size run of the Chlorine Blue pair for just $76. Either way, your money is well spent."